At Custom Cutters we provide a comprehensive planting service. 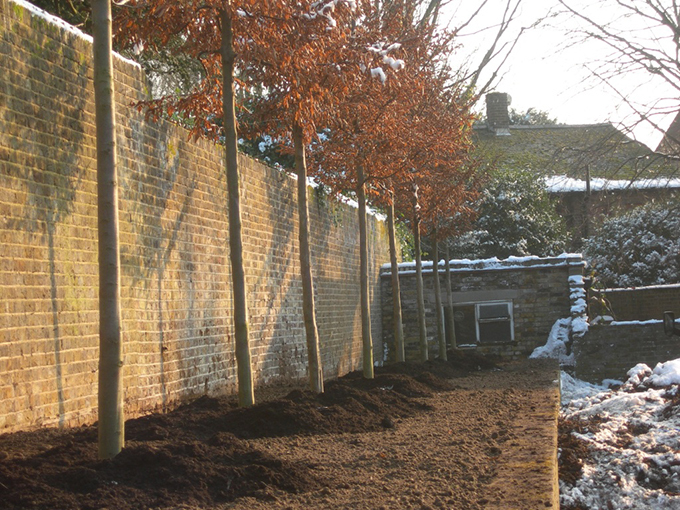 We have extensive experience in all aspects of planting varying from small shrubs to mature trees with an immediate and impressive visual impact. The care provided for a tree when planting is very important in ensuring the establishment and long term health of the plant. Good planting methods can significantly reduce the stress placed on the plant at the time of planting. The ideal time to plant trees and shrubs is during the dormant season from November through to March. At this time the ground is cold enough for tree roots to become established without the stress of the spring and summer heat which promotes foliage growth. Trees properly cared for can be planted throughout the growing season from April to October if proper handling is undertaken. If planted at this time, an adequate watering management programme needs to be implemented. In addition, the trees need to be correctly transplanted and handled.